Hello lovelies! 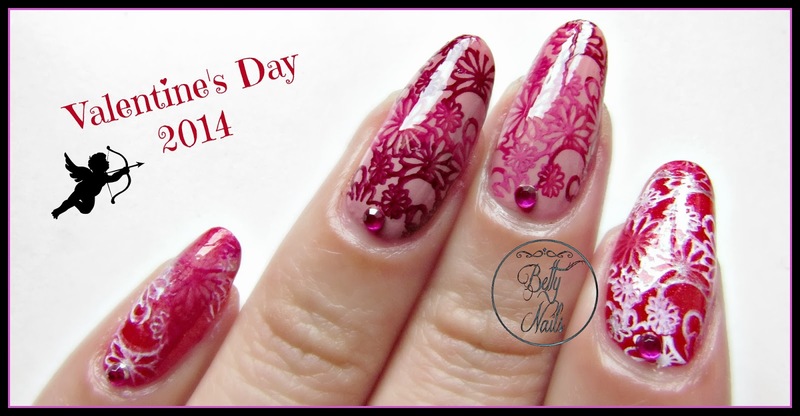 V-day is coming and the bloggosphere is already flodded with Vday Nails! I've seen so many great ideas! This one is my 2nd for this year and was done with Purple Professional nail polishes from the Vintage Love Collection. Cucu! O dia de S.Valentim está quase a chegar e a blogosfera esta já cheia de lindíssimas manicures alusivas ao dia! Já vi coisas fantásticas! Hoje trago-vos a minha 2ª sugestão para o dia, com 2 cores Purple Professional, da colecção Vintage Love. For this nailart I used Purple Professional Burning Passion and Purple Professional Its Still Love for the base colors and stamped with Cheeky CH 44. Several nailart polishes from MASH Stamping set and Konad. Top Coat - Purple 2 Dry. 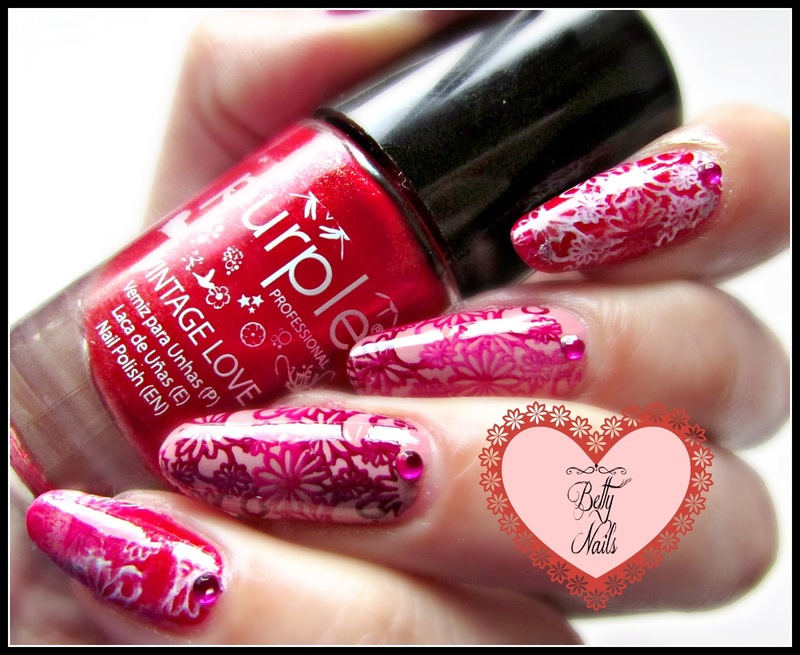 You can see complete swaches of Vintage Love Collection, by Purple Professional, here. Para esta manicure usei dois Purple Professional da colecção Vintage Love como cores base (podem ver a review completa da colecção aqui). Usei o 89 It's Still Love e o 90 Burning Passion. Para carimbar usei a placa Cheeky CH44 e vários tons de rosa e vermelho da MASH + branco Konad. O top coat usado foi o Purple 2 Dry.